Yes, we are finally visiting Milton’s and the other breweries in Southeast New Mexico. Because we didn’t stick the NM in front of our name for nothing. Back in the fall, the New Mexico Brewers Guild took several of its members from the Albuquerque area down to the southeastern part of the state to visit the breweries far from the metro area. Yours truly was invited, but I had to finish up a book (due out June 5, FYI) on Albuquerque’s beer history, and could not attend. All these months later, Luke and I have made plans to follow in their footsteps. This Friday, we are intent on visiting Roosevelt Brewing in Portales, Desert Water Brewing outside Artesia, The Wellhead in downtown Artesia, and Milton’s Brewing in Carlsbad. Our goal is to take in the atmosphere at these places, try their beers, their food (if they serve), and see how they compare to our “big city” breweries. We will be kind, of course, in terms of rating the beers. Our purpose to is to introduce all of you to these places, which we know many of our primary readers have never visited before. 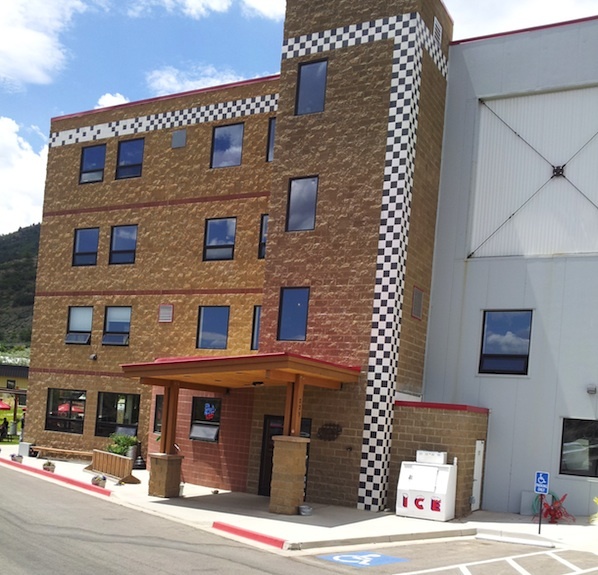 We do not intend to be overly critical and compare these places to the much larger and better-funded breweries along I-25, but instead we will judge them on their own merits in the context of the smaller towns they inhabit. If possible, we will have a story for each brewery that will run next week and beyond. We will be posting on all three of our social media outlets (Facebook, Instagram, Twitter) live as we go. The Crew made a pledge to get out to the breweries beyond the ABQ and Santa Fe areas, and we intend to follow through. We have already run Andrew’s stories on Three Rivers Brewery and 550 Brewing in the northwest, now it is time to catch up with the breweries in the opposite corner of the state. Then, schedules permitting, we will head up to the Taos area this summer, and down to Las Cruces at some point in later summer/early fall. Of course, weather may not be our friend this weekend, but we will endure what we can. The catch may come Saturday, when we will try to be crazy and drive all the way from Carlsbad to Silver City in time to catch Toad Fest. This street party (weather-permitting) in downtown Silver City has been on our list of “must attend” events. 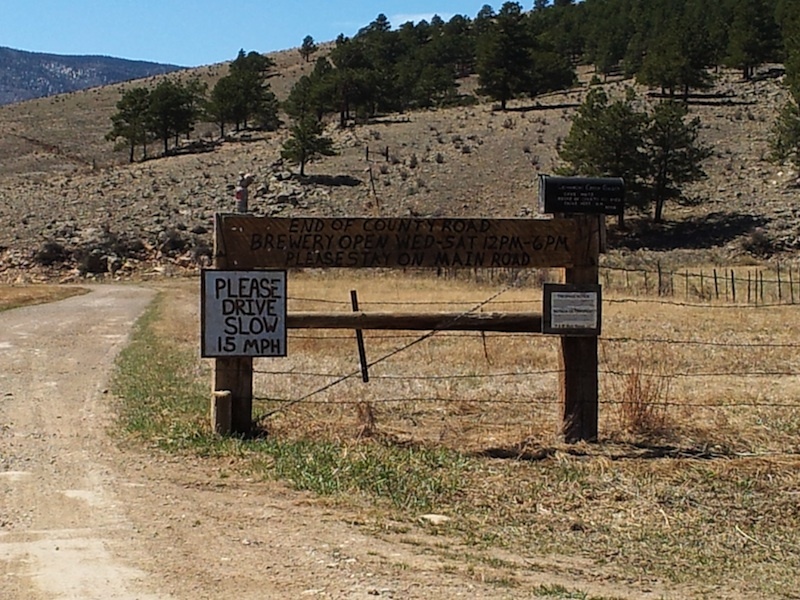 Plus, we have never actually visited Little Toad Creek’s location in Silver City, so we can pull off a two-for-one there. And, if we are really lucky, we may be able to stop by Truth or Consequences Brewing and meet their owners, as they have told us they are just a month or so away from opening. Wish us luck, and good weather. A lot of labor went into beers around the state like this Bohemian Pilsner at High Desert. It’s Labor Day weekend, so make sure to hug a brewer (with his/her consent) and thank ’em for all the hard labor that went into producing the beers you’re drinking. Well, on a more serious note the holiday weekend figures to be a busy one around the state. And since it’s a holiday weekend and this is New Mexico, please remember to drink responsibly and be careful out there on the roads. There are a few events going on around the state. Santa Fe Brewing will be serving beers at the Angel Fire Gravity Games and Brewfest on Saturday. If you would rather hang around in Santa Fe, there will be live music this weekend at Duel and Second Street. If you’re further north, Taos Mesa will be hosting plenty of live music as well. There are a few new beers on tap across the state. Blue Corn is introducing Scorched, an smoked olde ale. Desert Water has George Lite on tap and the Pilsner will be ready this weekend. High Desert has fresh batches of Hefeweizen, Black IPA, Amber, and Stout. New Mexico Craft Brewing has a whole new lineup at the Old Town Drafthouse, including their popular Cider. Santa Fe’s Small Batch Saturday will feature a Wee Heavy. Second Street has a fresh batch of the GABF medal-winning Steam Bitter. Continue reading for all the news that is fit to blog for the week of August 25. Beers: HALT!-bier, Berliner Weiss, Funkadelic Dunkel, Night Train (Schwarzbier), Scorched (smoked olde ale). It’s getting awful German over at Blue Corn. The most recent German addition is the Night Train (5% ABV, 32 IBU), a darker lager made with two types of German malts and noble hops. The Funkadelic (5.8% ABV, 30 IBU) is a Bavarian-style brown ale, with Crystal hops added to balance the big malt bill. HALT!-bier (6% ABV, 40 IBU) is an Altbier made with two types of German color malts and a mix of Warrior and Crystal hops that give it a crisp, dry finish. Scorched will debut at the Thursday Beer Garden tonight, while a flamenco group will provide entertainment from 6 to 9 p.m. Beers: Oktoberfest, Wee Heavy. The Wee Heavy is this week’s entry for Small Batch Saturday. Production of Freestyle Pilsner has ended for the year, so go grab a sixer while they are still available. Kriek, SFBC’s popular sour, is not on tap, but it is available in bombers around the state. News: SFBC will be providing beer at the Angel Fire Gravity Games and Brewfest on Saturday. They will also be at the Fall Gold Sale at Ski Santa Fe on Sunday. Beers: Wheat Ale, Peach Wheat, Hefeweizen, Bohemian Pilsner, Octoberfest, IPA, Black IPA, Amber Ale, Steam Beer, Stout, Barley Wine. The lineup has cycled in four new beers, with the Hefeweizen, Black IPA, Amber, and Stout replacing the Kolsch, ESB, Anniversary IPA, and Brown. Porter Pounder and I recently had a chance to visit HDBC. He went with the Barley Wine, while since I had to drive on to ABQ that day, I went with the Pilsner. We enjoyed both of these beers from opposite ends of the ABV spectrum. High Desert Brewing Company is located at 1201 W. Hadley Ave. in Las Cruces. Durango breweries like Ska will have company from New Mexico breweries at the San Juan Brewfest. It’s a pretty darned quiet week around the state. There really aren’t any major brewing events or even special beer release parties. A total of six New Mexico breweries will cross state lines and participate in Saturday’s San Juan Brewfest in Durango. Eske’s, Santa Fe, Taos Mesa, and Three Rivers will be present, along with ABQ metro breweries Marble and Turtle Mountain. Luke from the Brew Crew Bullpen was planning on attending, so we’ll look forward to his report next week. Other than that, man, it’s quiet. Too quiet. There are a few new beers on tap across the state. Blue Corn has Night Train, a Schwarzbier. Desert Water has George Lite on tap this weekend. Taos Mesa is bring back Old ’96 Alt soon. Three Rivers has SHIPA – Citra on tap and has also resurrected Sandstone Wheat. Continue reading for all the news that is fit to blog for the week of August 18. Beers: HALT!-bier, Berliner Weiss, Funkadelic Dunkel, Night Train (Schwarzbier). It’s getting awful German over at Blue Corn. The newest addition is the Night Train (5% ABV, 32 IBU), a darker German-style lager made with two types of German malts and noble hops. The Funkadelic (5.8% ABV, 30 IBU) is a Bavarian-style brown ale, with Crystal hops added to balance the big malt bill. HALT!-bier (6% ABV, 40 IBU) is an Altbier made with two types of German color malts and a mix of Warrior and Crystal hops that give it a crisp, dry finish. News: Scorched, a smoked olde ale, will be out next week. Also in the works is an imperial red wet hop beer using 50 pounds (!) of Chinook hops from Colorado. This Friday at the Santa Fe Draft Station, there will be a cask of 40K Honey Wheat aged on mango puree. Beers: Freestyle Pilsner, Oktoberfest, Kriek. The Kriek is a sour ale with cherries added and then aged in oak barrels. It’s not your average sour, and like almost all SFBC beers, you can find it for sale at fine liquor establishments throughout the state. Beers: Kolsch, IPA, ESB, Triskelion Amber, German Pilsner, Boneshaker Bitter, Cream Stout, Railrunner Ale, Railyard Red. August is German Beer Month at Second Street, so the Pilsner and the Amber are the first two of the German-style brews coming to tap. The Boneshaker, Stout, Railrunner, and Red are all back on tap after a short absence. Events: SSB Thursday’s Patio series will feature Paw Cole and the Clinkers all month long. The Kodama Trio is playing Friday, followed by Busy and the Crazy 88’s on Saturday. There is never a cover. Shows at the Railyard include Jaka on Friday and Swing Soleil on Saturday, and Hot Honey with Sunday brunch all month long. Beers: Mosaic Lollipop Pale Ale, Mogul Imperial IPA, Simple Porter. When we visited the Mosaic and the Porter were still listed on the menu, but both had run out. The Porter was back on tap as of Wednesday, or so the TAH Facebook page showed. We did try the Mogul, which is served in 10-ounce glasses only due to a high ABV (9.5%). It’s not a hop bomb, but instead has a lot of balance between the hops and the malty backbone. TAH also has a few guest beers on tap as well. Beers: Sessions 3 (IPA), Superstitious Stout, Kolsch 45, Hopper IPA, Hopricot. Sessions 3 is the third entry in their session IPA series. It’s a little lighter and mellower than its predecessors, maybe closer to a pale ale than a traditional IPA. We were big fans of the Kolsch 45 and the Superstitious Stout was pretty good as well, even for the hot summer. There are also multiple guest taps, including one rotating tap called the “NM Brewers Guild” tap, featuring random beers from all over the state. News: Old ’96 Alt will be back on tap any day now. Amarillo Rojo, 3 Peaks IPA, Fall Down Brown, and Lunch Pale Ale are coming up next week. There’s also “a high gravity surprise” coming for us all in late October/early November. Beers: Imperial Stout, RyePA, IPA, X Hop Pale, Brown. I am told that the Imperial Stout is well worth the trip to Las Vegas. Business has been nuts over at NMCBC, so beers are changing out rapidly on tap. Beers: India Pale Ale, Sandstone Wheat, SHIPA – Citra, Papa Bear’s Golden Honey Ale, Red Mountain Wheat, Red Apple Flyer Cider, Orchard Street Raspberry Wheat, Sandstone Wheat, King Colona, Longshot Light, 3 Rivers Scottish Ale, Arroyo Amber Ale, Thode’s Fat Dog Stuck in the Door Stout. The lineup at Three Rivers has two new beers in the SHIPA – Citra (6.5% ABV) and the Sandstone Wheat (4.7% ABV), a Bavarian-style hefeweizen that’s back after only a brief absence. The SHIPA is a Single-Hop IPA made with, you guessed it, Citra. The Orchard Street Raspberry Wheat (4.5% ABV) is made with fresh raspberries. The King Colona (9.5%) is the imperial version of the NM Colona. The rather awesomely named Thode’s Fat Dog Stuck in the Door Stout (5.4% ABV) is the darkest beer on tap. It was named in honor of Jim Thode, a friend of the brewery who died while serving in Afghanistan in 2010. Some of the more interesting older beers on tap include the Afternoon D’light IPL (5.0% ABV), an India pale lager made with just Pilsner malt and Citra hops. The Arroyo Amber Ale (5.0% ABV) is the local favorite. It is copper-red in color, medium bodied, and is brewed with caramel malt with a nice hop balance. Beers: Rice Beer, Hard Cider, Porter. Desert Water, located at 1 E. Cottonwood Road in Artesia, brews in small batches, so the lineup is constantly changing. They sell the beer in 4-ounce samples ($1, $2 for cider) or 12-ounce glasses ($3.50 beer, $5 cider). You can also purchase the beer in growlers. News: George Lite should be on tap this weekend. The Pilsner is still fermenting. Beers: Wheat Ale, Peach Wheat, Kolsch, Bohemian Pilsner, Octoberfest, Extra Special Bitter, IPA, Anniversary IPA, Brown Ale, Steam Beer, Barley Wine. The lineup is still the same as a week ago. The Kolsch and Pilsner rejoined the lineup recently, replacing the Irish Red and Black IPA. High Desert Brewing Company is located at 1201 W. Hadley Ave. in Las Cruces. All seven styles of Duel’s bottled beers are now for sale at Jubilation in Albuquerque and at the brewery in Santa Fe. A friend online said recently that if New Mexico breweries really want to put our brewing scene on the map nationally, more of them must start bottling or canning their beers. Outside of the ABQ metro area, where La Cumbre, Marble, Rio Grande/Sierra Blanca, and Tractor all distribute, the only distribution brewery to date has been Santa Fe Brewing. Well, two other breweries in the City Different are now heading down that path as well. Duel Brewing had a special tasting of their seven (!) bottled beers at Jubilation in Albuquerque last weekend. For now, Duel will only be selling their bombers at Jubilation and out of the brewery. Still, it’s a good start to what they eventually hope will be a greater distribution of their Belgian-style wares. Today (Thursday) will mark the debut of Second Street’s Pivotal IPA in cans. Working with Mother Road Mobile Canning, Second Street will be distributing their beer for the first time. You can stop by today from 2 to 6 p.m. to watch the process and buy a four-pack. For now, the four-packs of Pivotal will be sold only out of the two Second Street locations, but the hope is that in the future they will be selling out of stores in the area. These are just the first steps for the two breweries in terms of distribution, but it is a good sign that more places are looking to can and bottle. It also saves us Burquenos space in our cars’ trunks where we had to pack in all those growlers for our Santa Fe trips. On the new brewery front, it looks like two places will be opening soon. Twisted Chile Brewing is open for food sales in Socorro right now and has other New Mexico beers on tap. They are getting ready to crank things up soon and will begin serving their own beers. Further to the south, Spotted Dog Brewery is making progress toward opening in Mesilla. Porter Pounder will be down there on a film set and will try to stop by Spotted Dog to check out their progress. The Las Cruces area has been overdue for another brewery. There are a few new beers on tap across the state. 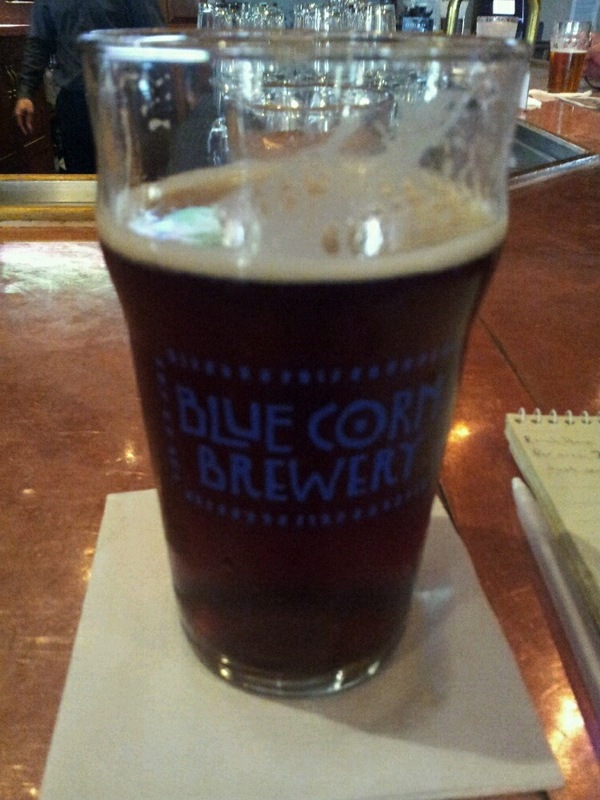 Blue Corn has Funkadelic Dunkel on tap. Duel has Whistler and Marcel (Witbier) on tap. Second Street has brought back Boneshaker Bitter, Cream Stout, Railrunner Ale, and Railyard Red. Up in Farmington, Three Rivers has tapped Orchard Street Raspberry Wheat, King Colona, and Thode’s Fat Dog Stuck in the Door Stout. Continue reading for all the news that is fit to blog for the week of August 11. Beers: Training Wheels Light Lager, HALT!-bier, Berliner Weiss, Funkadelic Dunkel. The Funkadelic (5.8% ABV, 30 IBU) is a Bavarian-style brown ale, with Crystal hops added to balance the big malt bill. For craft beer beginners, Blue Corn has an American light lager called Training Wheels (4.5% ABV, 15 IBU). It’s made with flaked maize, rice, and pilsner malt. HALT!-bier (6% ABV, 40 IBU) is an Altbier made with two types of German color malts and a mix of Warrior and Crystal hops that give it a crisp, dry finish. News: A Schwarzbier and a Smoked Olde Ale are the next beers on deck. A special version of the Olde Ale aged on Scotch-soaked oak chips will be available at the Draft Station in Santa Fe on Friday at 4 p.m.
News: SFBC will be selling a small number of special bottles this week. They have 28 total bottles of Oud Bruin and Single Barrel, plus six bottles of Sour Tripel from the Sangre de Cristo Craft Brewers Club. Events: SSB Thursday’s Patio series will feature Paw Cole and the Clinkers all month long. Christina Herr is playing Friday, followed by Hot Club of Santa Fe on Saturday. There is never a cover. Shows at the Railyard include Step in Blues on Friday, Pete Stein on Saturday, and Hot Honey with Sunday brunch all month long. Today (Thursday) is the next Cask & Curry Night at the original location. Railrunner Ale will be on cask. UPDATED >>> Beers: Taos Green Chile Beer, The Chemist (Gluten-free), Blonde Betty, Artist Ale (English bitter), Millennium IPA, Red-Handed Ale, Naked Ape (Fruit beer). Thanks to reader 8BitHitman, we have an updated beer list for Eske’s at last. After initially going “huh?” on a few of these beers, 8BitHitman wrote us back to fill us in. The Chemist is Eske’s popular gluten-free beer. The Artist Ale is an English bitter and was his choice as the best of the bunch. The Naked Ape is a fruit beer, with peach/apricot characteristics. Beers: India Pale Ale, Sandstone Wheat, Afternoon D’light IPL, Papa Bear’s Golden Honey Ale, Red Mountain Wheat, Red Apple Flyer Cider, Orchard Street Raspberry Wheat, King Colona, Longshot Light, 3 Rivers Scottish Ale, Arroyo Amber Ale, Thode’s Fat Dog Stuck in the Door Stout. The lineup at Three Rivers has three new beers while bidding adieu to four others (Peachy Keen, Chaco Nut Brown, Schnitzengiggle, Powerplant Porter). The Orchard Street Raspberry Wheat (4.5% ABV) is made with fresh raspberries. The King Colona (9.5%) is the imperial version of the NM Colona. The rather awesomely named Thode’s Fat Dog Stuck in the Door Stout (5.4% ABV) is the darkest beer on tap. It was named in honor of Jim Thode, a friend of the brewery who died while serving in Afghanistan in 2010. Some of the more interesting older beers on tap include the Afternoon D’light IPL (5.0% ABV), an India pale lager made with just Pilsner malt and Citra hops. The Sandstone (4.7% ABV) is a Bavarian-style hefeweizen. The Arroyo Amber Ale (5.0% ABV) is the local favorite. It is copper-red in color, medium bodied, and is brewed with caramel malt with a nice hop balance. Beers: Amber, Rice Beer, Hard Cider, Hoppy, Wheat, Porter. Desert Water, located at 1 E. Cottonwood Road in Artesia, brews in small batches, so the lineup is constantly changing. They sell the beer in 4-ounce samples ($1, $2 for cider) or 12-ounce glasses ($3.50 beer, $5 cider). You can also purchase the beer in growlers. Beers: Wheat Ale, Peach Wheat, Kolsch, Bohemian Pilsner, Octoberfest, Extra Special Bitter, IPA, Anniversary IPA, Brown Ale, Steam Beer, Barley Wine. The lineup is still the same as a week ago. The Kolsch and Pilsner rejoined the lineup last week, replacing the Irish Red and Black IPA. Lots of (fairly) fresh beer is ready for you, Las Cruces! 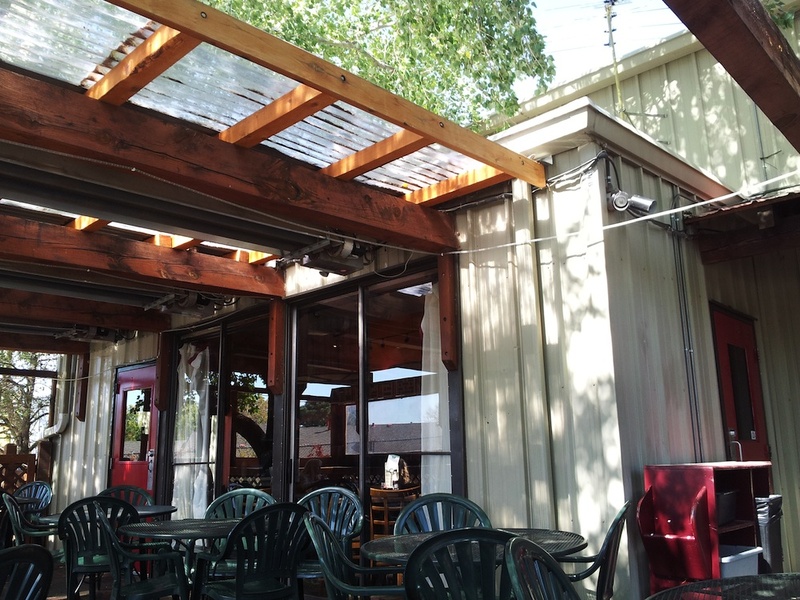 High Desert Brewing Company is located at 1201 W. Hadley Ave.
Second Street’s patio is the closest you will get to a German beer garden in New Mexico. Coincidentally, it’s German Beer Month at Second Street in August. Santa Fe Brewing kicked off a German trend last weekend with their Oktoberfest release party. Now it’s Second Street’s turn as August is German Beer Month. We don’t have all the details yet, but there is already a German Pilsner on tap and likely a few more German-style beers to come. We do adore this as fall is pretty much the Brew Crew’s favorite season. It sounds like a trip up to Santa Fe is in short order. Hopefully this time we can avoid any and all torrential downpours. Second Street’s patio is to be savored. If you’re down south, High Desert is also into the German theme, busting out their Kolsch, Bohemian Pilsner, and they still have their Octoberfest on tap. We did not get many updates at all this week about new beers. It looks like a lot of breweries are slowing down production of new seasonals while trying to keep up with the demand for their more popular regular beers. 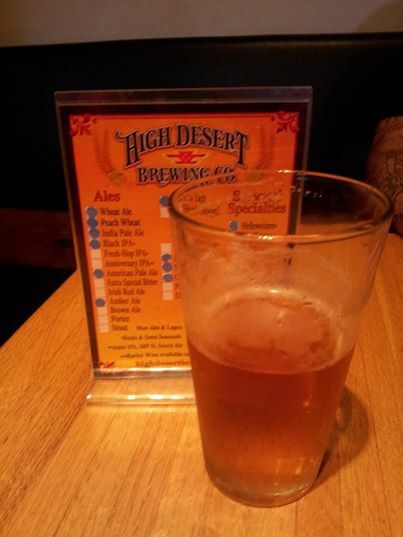 We do know that High Desert has their Anniversary IPA back on tap. Santa Fe has a fresh batch of Kriek available at the taproom and they’re selling it in bombers around the state. Second Street also has Triskelion Amber. Wait, wasn’t the Triskelion the headquarters of S.H.I.E.L.D. in the last Captain America movie? Continue reading for all the news that is fit to blog for the week of August 4. Beers: Lunch Meeting (Session IPA), Training Wheels Light Lager, Pound for Pound IPA, HALT!-bier, Berliner Weiss. The Pound for Pound IPA (7.5% ABV, 100+ IBU) was Blue Corn’s entry into the IPA Challenge. It boasts 7.5 pounds of hops per barrel, utilizing a mixture of Amarillo, Chinook, Eldorado, and Simcoe. The Lunch Meeting (4.7% ABV, 50 IBU) was made with Citra, Simcoe, and Amarillo hops. There is a lot of Vienna malt to balance out the hops. For craft beer beginners, Blue Corn has an American light lager called Training Wheels (4.5% ABV, 15 IBU). It’s made with flaked maize, rice, and pilsner malt. HALT!-bier (6% ABV, 40 IBU) is an Altbier made with two types of German color malts and a mix of Warrior and Crystal hops that give it a crisp, dry finish. It comes out today (Thursday) and will be paired with a special German-style dinner. News: Duel Brewing has just started bottling Tableaux, Titian, and Fiction in 22-ounce bottles. Coming soon are Whistler (Belgian Blonde) and Marcel (Belgian Witbier). Beers: Kolsch, IPA, ESB, St. George IPA, Pivotal IPA, Triskelion Amber, German Pilsner. As noted above, August is German Beer Month at Second Street, so the Pilsner is the first of many German-style debuts coming to tap. The Amber is also new. Gone (for now) are the Cream Stout, Rod’s Best Bitter, Boneshaker Bitter, and Railyard Red. Events: SSB Thursday’s Patio series will feature Paw Cole and the Clinkers all month long. Tumbleweeds are playing Friday, followed by Barb Wire on Saturday. There is never a cover. Shows at the Railyard include Greg Daigle on Friday and Hot Honey with Sunday brunch all month long. Saturday will feature the Heath Concert Series at the Railyard with Janiva Magness from 7 to 9:30 p.m. Beers: We haven’t gotten an update from Eske’s in a long time. If anyone out there is planning on visiting, snap a photo of their beer listings and email it over. Beers: Mosaic Lollipop Pale Ale, Mogul Imperial IPA, Simple Porter. When we visited the Mosaic and the Porter were still listed on the menu, but both had run out. There was no word when they’d be back. We did try the Mogul, which is served in 10-ounce glasses only due to a high ABV (9.5%). It’s not a hop bomb, but instead has a lot of balance between the hops and the malty backbone. TAH also has a few guest beers on tap as well. Beers: India Pale Ale, Sandstone Wheat, Afternoon D’light IPL, Papa Bear’s Golden Honey Ale, Red Mountain Wheat, Red Apple Flyer Cider, Peachy Keen Wheat, Chaco Nut Brown, Schnitzengiggle, Longshot Light, 3 Rivers Scottish Ale, Arroyo Amber Ale, Powerplant Porter. The lineup at Three Rivers has been static since mid-July. Red Mountain Wheat (4.5% ABV), Peachy Keen Wheat (4.9% ABV), Schnitzengiggle (7% ABV), and Longshot Light (3.5% ABV) are all somewhat new. The snicker-worthy name Schnitzengiggle (shout out to the movie “Beerfest”) is a German-style dunkelweizen. Some of the more interesting older beers on tap include the Afternoon D’light IPL (5.0% ABV), an India pale lager made with just Pilsner malt and Citra hops. The Sandstone (4.7% ABV) is a Bavarian-style hefeweizen. The Arroyo Amber Ale (5.0% ABV) is the local favorite. It is copper-red in color, medium bodied, and is brewed with caramel malt with a nice hop balance. Beers: Wheat Ale, Peach Wheat, Kolsch, Bohemian Pilsner, Octoberfest, Extra Special Bitter, IPA, Anniversary IPA, Brown Ale, Steam Beer, Barley Wine. The Kolsch and Pilsner rejoined the lineup this week, replacing the Irish Red and Black IPA. Lots of fresh beer is ready for you, Las Cruces! High Desert Brewing Company is located at 1201 W. Hadley Ave. Nothing says August like Oktoberfest! The long hot month of August is almost upon us. The good folks up at Santa Fe Brewing decided that August is a perfect time to release their … Oktoberfest?! Yup, the popular German Marzen-style beer is going on tap this Saturday with a special release party at the brewery from noon to 5 p.m. The first 100 people who show up will even get a free burrito from Tortilla Flats. There will be a live radio broadcast by KBAC as well. So trek on up I-25 or hop on the Railrunner to join the festivities. And to keep up with the German theme, Blue Corn is releasing its Berliner Weiss with a special dinner Friday from 6 to 9 p.m. at the southside brewery. You can get this beer with raspberry, peach, or herbal syrup added, or just try it as is. There will be a menu of German-inspired dishes as well. In the meantime, there are new beers around the state to try. Blue Heron’s unique Ladybug IPA is available. High Desert brings back its Octoberfest (sensing a theme here?) and Steam Beer. Second Street put their ESB, Pivotal IPA, and St. George IPA back into the lineup. Taos Mesa has brought Hopricot to tap. Continue reading for all the news that is fit to blog for the week of July 28. Beers: Lunch Meeting (Session IPA), Training Wheels Light Lager, Pound for Pound IPA, HALT!-bier, Berliner Weiss. The Berliner Weiss will make its debut on Friday, see above for more details. The Pound for Pound IPA (7.5% ABV, 100+ IBU) was Blue Corn’s entry into the IPA Challenge. It boasts 7.5 pounds of hops per barrel, utilizing a mixture of Amarillo, Chinook, Eldorado, and Simcoe. The Lunch Meeting (4.7% ABV, 50 IBU) was made with Citra, Simcoe, and Amarillo hops. There is a lot of Vienna malt to balance out the hops. For craft beer beginners, Blue Corn has an American light lager called Training Wheels (4.5% ABV, 15 IBU). It’s made with flaked maize, rice, and pilsner malt. HALT!-bier (6% ABV, 40 IBU) is an Altbier made with two types of German color malts and a mix of Warrior and Crystal hops that give it a crisp, dry finish. It comes out today (Thursday) and will be paired with a special German-style dinner. Beers: Freestyle Pilsner, Oktoberfest. For more on the release of Oktoberfest on Saturday, scroll back to the top of this story. Beers: Cream Stout, Kolsch, IPA, Rod’s Best Bitter, Boneshaker Bitter, Railyard Red Ale, ESB, St. George IPA, Pivotal IPA. The ESB is back on tap this week. July is IPA Month at Second Street, so the house IPA and now St. George and Pivotal are all on tap as July comes to an end. Events: SSB Thursday’s Patio series will feature Joe West all month long. Bill Hearne is playing Friday, followed by Alto Street on Saturday. There is never a cover. Shows at the Railyard include Blues Revue on Friday and Hot Honey with Sunday brunch. Saturday will feature the Heath Concert Series at the Railyard with James McMurty from 7 to 9:30 p.m. 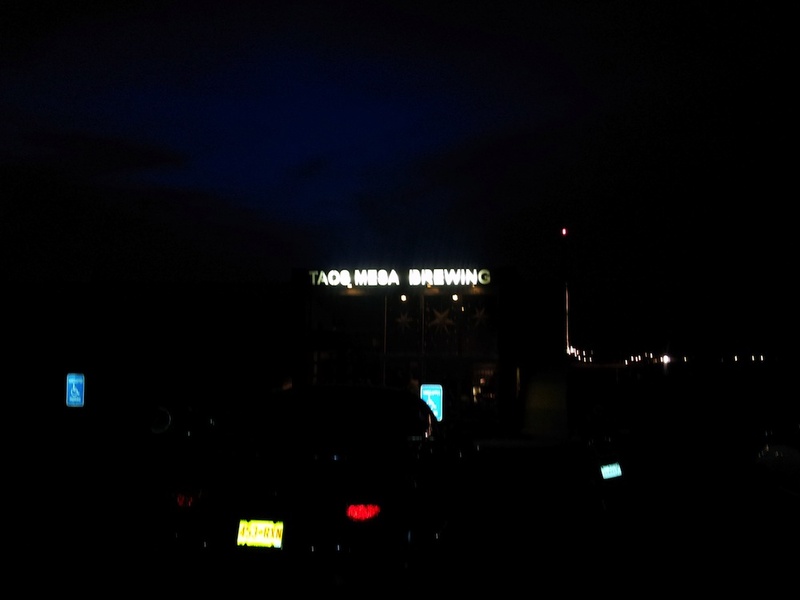 Beers: Embudo Gold Golden Ale, Lava Rock Pale Ale, Tarantula Trek Red Ale, Ladybug IPA, Prieta Real Imperial Stout. The Ladybug and Embudo were the most recent additions to the lineup when we visited Blue Heron last weekend. The Ladybug offers up a unique mix of varied hops that produce a beer that tends to be sweeter and mellower than what we normally think of with IPAs. Blue Heron also has many of its beers for sale in bombers, including longtime Crew favorite La Llorona Scottish Ale. Beers: Sessions 3 (IPA), Superstitious Stout, Kolsch 45, Hopper IPA, Hopricot. Sessions 3 is the third entry in their session IPA series. It’s a little lighter and mellower than its predecessors, maybe closer to a pale ale than a traditional IPA. We were big fans of the Kolsch 45 and the Superstitious Stout was pretty good as well, even for the hot summer. There are also multiple guest taps, including one rotating tap called the “NM Brewers Guild” tap, featuring random beers from all over the state. They had the McDay’s Cream Ale from Turtle Mountain last weekend. Beers: India Pale Ale, Sandstone Wheat, Afternoon D’light IPL, Papa Bear’s Golden Honey Ale, Red Mountain Wheat, Red Apple Flyer Cider, Peachy Keen Wheat, Chaco Nut Brown, Schnitzengiggle, Longshot Light, 3 Rivers Scottish Ale, Arroyo Amber Ale, Powerplant Porter. The lineup at Three Rivers has seen some changes recently. Red Mountain Wheat (4.5% ABV), Peachy Keen Wheat (4.9% ABV), Schnitzengiggle (7% ABV), and Longshot Light (3.5% ABV) are all new. The snicker-worthy name Schnitzengiggle (shout out to the movie “Beerfest”) is a German-style dunkelweizen. Some of the more interesting older beers on tap include the Afternoon D’light IPL (5.0% ABV), an India pale lager made with just Pilsner malt and Citra hops. The Sandstone (4.7% ABV) is a Bavarian-style hefeweizen. The Arroyo Amber Ale (5.0% ABV) is the local favorite. It is copper-red in color, medium bodied, and is brewed with caramel malt with a nice hop balance. Beers: Wheat Ale, Peach Wheat, Octoberfest, Extra Special Bitter, IPA, Black IPA, Brown Ale, Steam Beer, Irish Red, Barley Wine. The Octoberfest and Steam Beer rejoined the lineup this week, replacing the American Pale Ale and Porter. Lots of fresh beer is ready for you, Las Cruces! High Desert Brewing Company is located at 1201 W. Hadley Ave.
It’s time for the Crew’s annual Taos Trek, with another trip to TMBC high on our list. Well, it’s been kinda stupid hot of late. And with the IPA Challenge in the rear view mirror and Hopfest a long ways away (Sept. 20 at Isleta Casino, just in case you missed the announcement), the Crew is kinda bored. And you know what happens when we get bored and more than a two of us have a day off at the same time. Road trip! Franz and Mrs. Solo and yours truly are trekking north to the Taos area this weekend. I have only made two trips up there with E-Rock (in 2012) and Shilling (in 2013, before we lost him to the graveyard shift), while the Solos have not been up that way for the purposes of beer adventures. We don’t have an exact plan of attack yet, but we hope to hit Blue Heron on the way up (either the new Espanola taproom or the original location or, heck, both) and then visit Taos Ale House and Taos Mesa for sure while we’re there. The renovations at TAH and TMBC are done, so it will be nice to see what they look like now. Oh, yeah, and we’re looking forward to all the beers as well. Keep an eye out for our recap next week. In the meantime, there are new beers around the state to try. Blue Corn has unleashed HALT!-bier, a new Alt. Desert Water has Amber Ale on tap and hopes to have a Porter ready this weekend. Duel tapped a new batch of their popular Dark Ryder. High Desert brings back their IPA and Extra Special Bitter. Second Street has fresh batches of Railyard Red and Boneshaker Bitter. Continue reading for all the news that is fit to blog for the week of July 21. Beers: Lunch Meeting (Session IPA), Training Wheels Light Lager, Pound for Pound IPA, HALT!-bier. The Pound for Pound IPA (7.5% ABV, 100+ IBU) was Blue Corn’s entry into the IPA Challenge. It boasts 7.5 pounds of hops per barrel, utilizing a mixture of Amarillo, Chinook, Eldorado, and Simcoe. The Lunch Meeting (4.7% ABV, 50 IBU) was made with Citra, Simcoe, and Amarillo hops. There is a lot of Vienna malt to balance out the hops. For craft beer beginners, Blue Corn has an American light lager called Training Wheels (4.5% ABV, 15 IBU). It’s made with flaked maize, rice, and pilsner malt. HALT!-bier (6% ABV, 40 IBU) is an Altbier made with two types of German color malts and a mix of Warrior and Crystal hops that give it a crisp, dry finish. It comes out today (Thursday) and will be paired with a special German-style dinner. News: When I interviewed brewer James Warren a few months ago he talked about how much he wanted to make a Berliner Weiss. Well, he has one in the fermenter right now and it should be ready July 29. Beers: Freestyle Pilsner. We did not hear back on what’s coming up for Small Batch Saturday this week. Head up to the brewery for a surprise! Beers: International Pale Steam, Cream Stout, Kolsch, IPA, Rod’s Best Bitter, Boneshaker Bitter, Railyard Red Ale. The International Pale Steam and Rod’s Best Bitter joined the lineup last week, while Boneshaker and Railyard went back on this week. July is IPA Month at Second Street, so expect lots of varieties of the most popular style of beer to hit taps in the weeks ahead. In addition to the Original IPA and Pivotal IPA, look for St. George IPA and Fulcrum. As it turns out, Fulcrum was Second Street’s entry into the IPA Challenge. Events: SSB Thursday’s Patio series will feature Joe West all month long. Busy & the 88s are playing Friday, followed by Barb Wire on Saturday. There is never a cover. Shows at the Railyard include Hot Club on Friday, Bill Hearne on Saturday and Alex Maryol with Sunday brunch. Beers: Amber’s Folly Amber Ale, Lava Rock Pale Ale, La Llorona Scottish Ale, Tarantula Trek Red Ale, Prieta Real Imperial Stout. The lineup is unchanged from last week, but when it’s a lineup as good as this one, no one wants it to change. The Scottish is a longtime Brew Crew favorite. Blue Heron also has many of its beers for sale in bombers. News: Blue Heron’s new taproom in Espanola is now open for business. Stop by on your next time up north and check out all they have to offer (and yes, we’ll head up there before the summer is out, time permitting). Beers: Mosaic Lollipop, Mogul IPA, Simple Porter, Landscaper Session IPA. TAH also has a few guest beers on tap as well. The Simple Porter was a personal favorite from a while back. Looking forward to finally trying the rest this weekend. Beers: Cold Gold, Cross Eye Rye, Great Scot Scottish, Rainy Day IPA, Fall Down Brown, Lunch Pale Ale, Sessions (IPA), Superstitious Stout, White Feather IPA. Recent additions to the taps are the Cold Gold (5.0% ABV, 20 IBU), a golden ale, and Sessions (5.0% ABV, 60 IBU), a session IPA. The popular Rainy Day IPA (7.2% ABV, 90 IBU) and Lunch Pale Ale are also back in the regular lineup. For a darker beer, I recommend the Superstitious Stout (naturally), though I enjoyed the Sessions when I tried it at SummerFest. A second version debuted at The Beer Premier. There are also three guest taps featuring Marble’s Wildflower Wheat and Pilsner, plus the Marble Beers’ IPA from Great Britain (not ABQ). Beers: Amber, Rice Beer, Hard Cider, Hoppy, Wheat. Desert Water, located at 1 E. Cottonwood Road in Artesia, brews in small batches, so the lineup is constantly changing. They sell the beer in 4-ounce samples ($1, $2 for cider) or 12-ounce glasses ($3.50 beer, $5 cider). You can also purchase the beer in growlers. News: A fresh batch of Porter will hopefully be on tap this weekend. Beers: Wheat Ale, Peach Wheat, Extra Special Bitter, IPA, American Pale Ale, Black IPA, Brown Ale, Porter, Irish Red, Barley Wine. The ESB and IPA rejoined the lineup this week, replacing the Bohemian Pilsner, Rye Beer, and Hefeweizen. Lots of fresh beer is ready for you, Las Cruces! High Desert Brewing Company is located at 1201 W. Hadley Ave.